It’s a well-worn tale, the story of the parents who push their kids into playing music on some instrument. “Why?” the kids ask. “Because we said so” the parents reply. Some kids warm to the opportunity right away and jump into the music lessons with enthusiasm. Other kids might shrug their shoulders and wonder why they have to take lessons on a music instrument. What’s missing at the onset of all the practical needs of learning the instrument are the benefits that someone receives from learning a musical instrument. Studies have shown that taking music lessons charges up the brain in different ways. It helps with strengthening one’s memory (in remembering chords and melodies) but also lifts up reading and comprehension skills too. And those skills are just as adaptable in the classroom as they are in the rehearsal studio. ● Teaches focus and discipline – In learning an instrument, you need to concentrate deeply on moving your fingers where your brains says they should go. This focus takes a student into new areas of creativity and learning. ● Helps with creative expression – Students who take music lessons find new avenues of expression and new outlets for their abundant creativity. ● Assists in physical dexterity and muscle development – For those students learning to play piano, drums or cello, there are benefits in the areas of muscle development and physical strength. Your hands and arms will definitely become stronger on a drum kit! ● Boosts memory and comprehension skills – the simple act of learning songs is a great example of this benefit. You need to challenge your brain to remember the chords and melody, and you’ll also be looking at and singing printed lyrics. Doing that frequently is definitely a benefit in this area. ● Confidence Booster – Music lessons helps build confidence in kIds and adults who start on music lessons and reach a point of playing live in a public setting. Once they have achieved performance goals, there’s not stopping them! ● Team building and interpersonal relationships – Our Band coaching program is a good example of how music lessons can help with team building. When you’re in a band with three or four others, it’s important that everyone lives up to their responsibility, so that the band can play at its best. These skills are transferrable to many real-life work and life situations. ● Lifelong skills – Spending some money on your kids’ musical education now will reap benefits for their entire life! Once you or your child learns piano, guitar, bass or other instrument, you can use these skills throughout your whole life! As you grow up, the joy of making music becomes even more special. 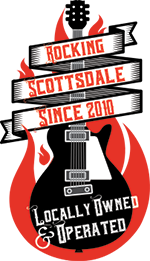 It’s our biased opinion at Scottsdale Music Academy that getting music in your spirit and soul is wonderful for a person. Whether you want to play soft piano chords, or rock out on an electric guitar, we’re more than happy to help you get proficient on their instrument of choice. 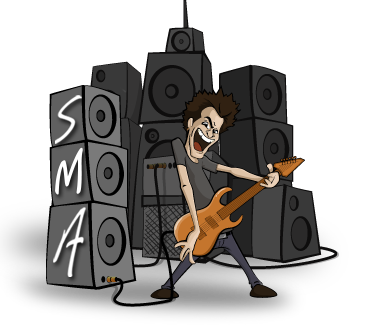 Our music lessons are fun, affordable and easy to schedule. And our instructors are well-versed in all types of instrument knowledge and learning. Plus, your first lesson is FREE! Just call us at 602-751-3537 today for your FREE first lesson!